Knowing the proper way to use a grab hook with a chain may be secret tribal knowledge, with the technique passed down from master to apprentice but never divulged to the common masses. At least, that’s what it felt like when I went searching for how to use the new tow chain I bought. For quite awhile, I couldn’t find a single article or video showing the proper method! I eventually found a “deep dive” video of a logger rambling on about the various chains he found on the side of the road. 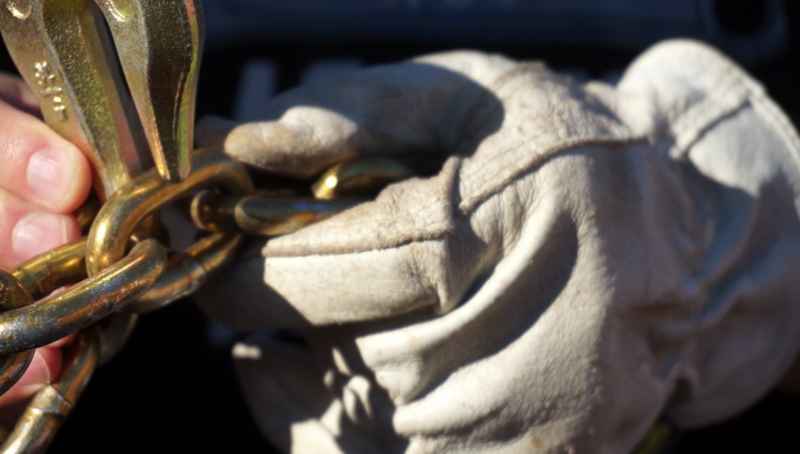 In the midst of describing one such chain, he absent-mindedly started attaching the grab hook and voila, it all made sense! I’m going to pass along that knowledge to you, so you don’t need to do the same tedious searching I had to do. 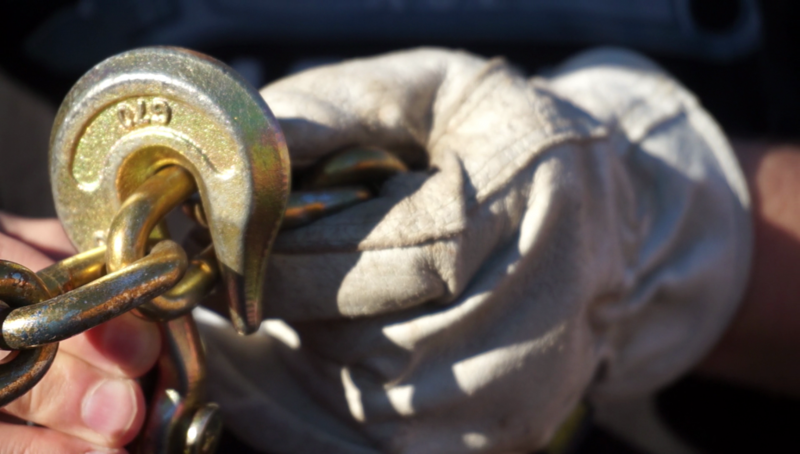 What is a Grab Hook? It’ll have thick beefy sides and, critically, the opening in the middle will have straight sides and there is a consistent width from the top to the bottom. 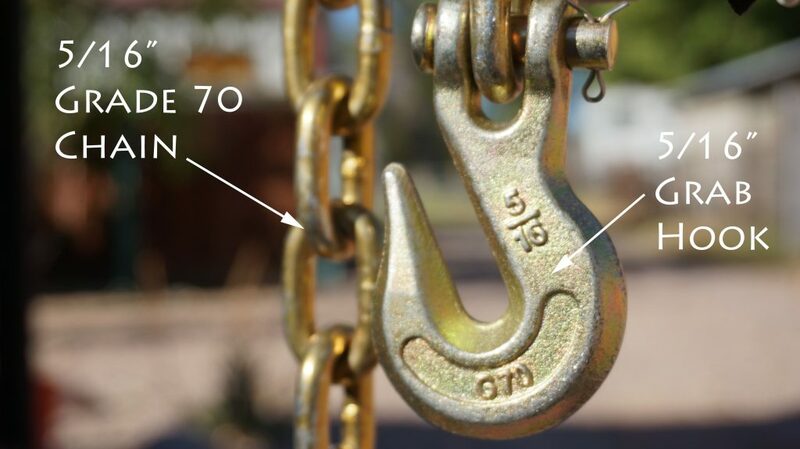 The grab hook will have a specific size stamped on it — in this case, 5/16″. It will only work with a chain of that size. Here, I’m using a 5/16″ Grade 70 tow chain. It is worth noting that the width of the slot in the hook will be just a tiny bit wider than the stamped size. That’s the key to how this works. The most obvious way to use the grab hook is also the wrong way. It may seem obvious that the point on the hook is intended to slide into the hole in the chain links. Nope. There is very little strength when doing that. 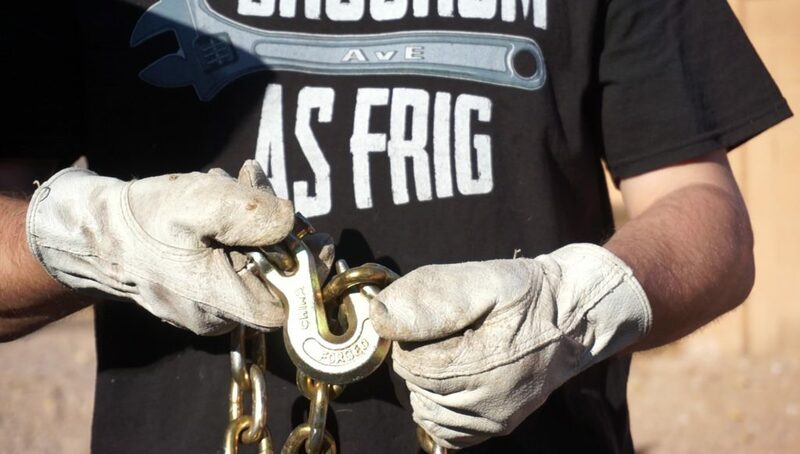 A 5/16″ Grade 70 chain is rated for 4,700 lbs but if hooked up like this, that rating will have little meaning. I don’t even know how much it will degrade the chain’s strength, but it likely isn’t by a little bit. The consistent width of the slot in the hook is critical to all of this, because it will be just a hair wider than the thickness of the chain. That is on purpose. The entire chain link is intended to be slide into that slot. And that’s it! The chain fits into the slot in the hook like it was made for it (because it was). 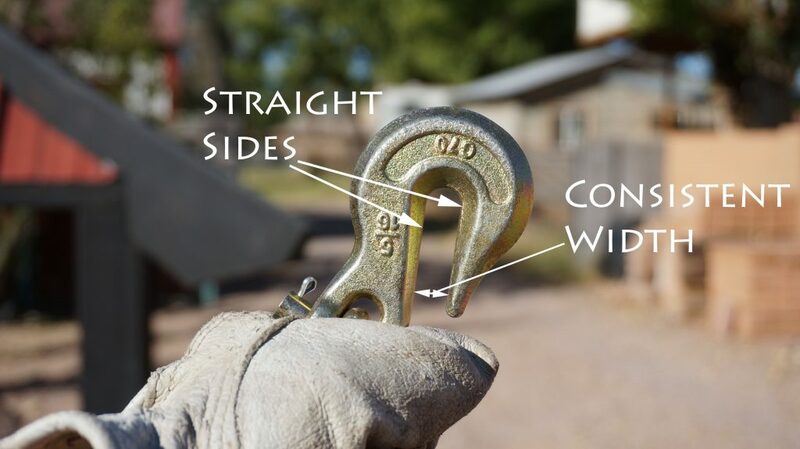 Each side of the link is well supported by the hook. When in use, the sides of the hook presses against the sides of the attached links, which spreads out the load quite a bit. 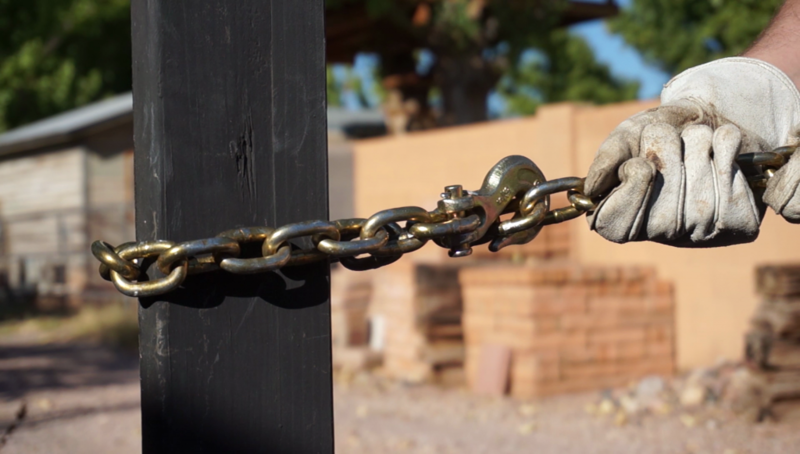 When used this way, the full weight rating of the chain is in play. It’s much safer when used properly and even easier to use. It got my chain from Home Depot. A similar chain is available from Amazon.